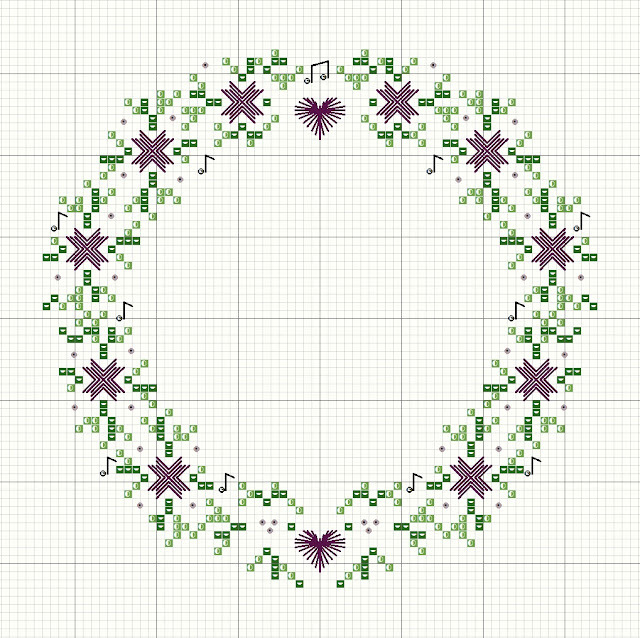 This is a variation of a wreath design I did for a friend's wedding. I found the Rhodes hearts and stars so pretty in red, I couldn't resist doing the pattern in Christmas colors. In the picture, you can see I monogrammed my initials in the center of the wreath. 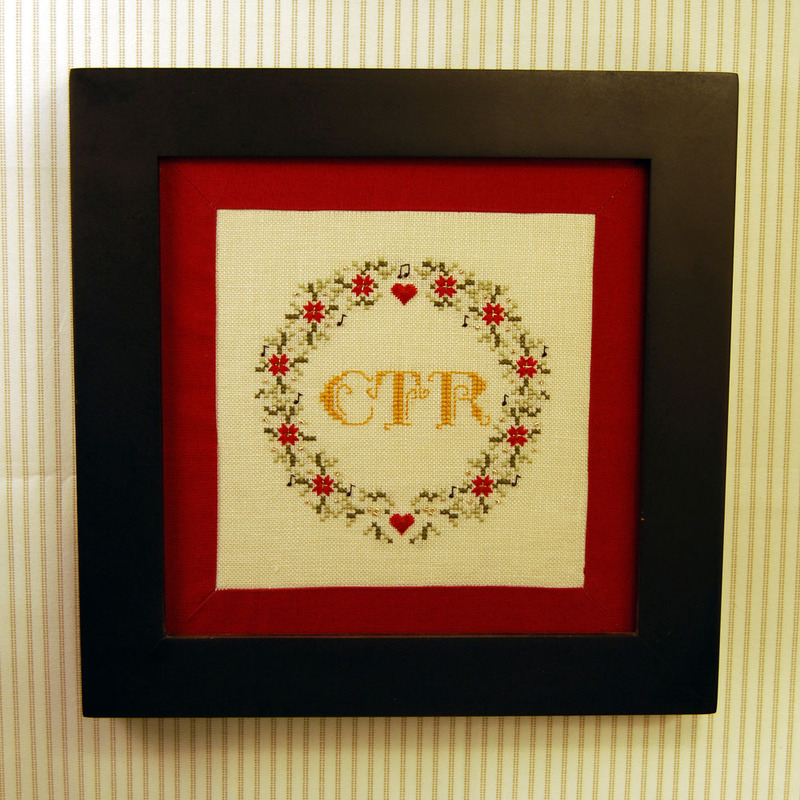 I matted the work in red fabric to fit an 8x8 inch frame. It's pretty cute in purple, too. 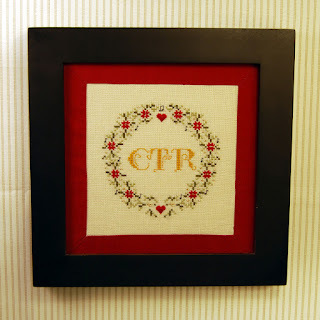 Have fun with it - and please visit me on Etsy - Rainburst Embroidery. This is the original wreath I did for my friend's wedding. The colors were purple and black - and the bride's and groom's initials were ABC. I thought it was so cute, so I did this mini-sampler for them. 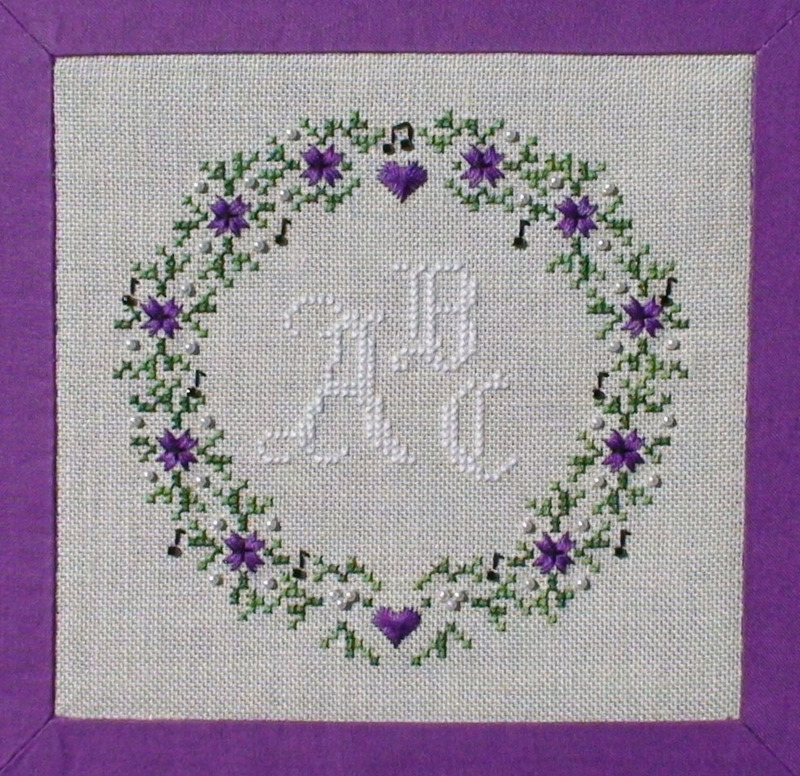 It was matted with purple fabric borders, and framed in a black ornate frame. Thank you - I love this pattern.. 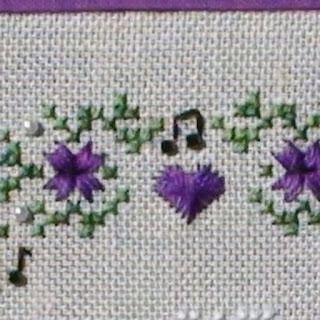 The little musical notes make it especially sweet to me!